Wow… kudos to making it onto the front page, it’s so inspiring to read your entries because you’re practically living my dream! I am planning on doing something similar once I graduate from college this summer… if everything goes according to plan then I will be traveling around Spain & Portugal for a year. My second home! Love it! How long have you been there? The people are amazing! How much longer are you there? Where are you headed next? Looking forward to reading more of your Asian travels. It’s a fascinating place to live. Where did you take those photographs? 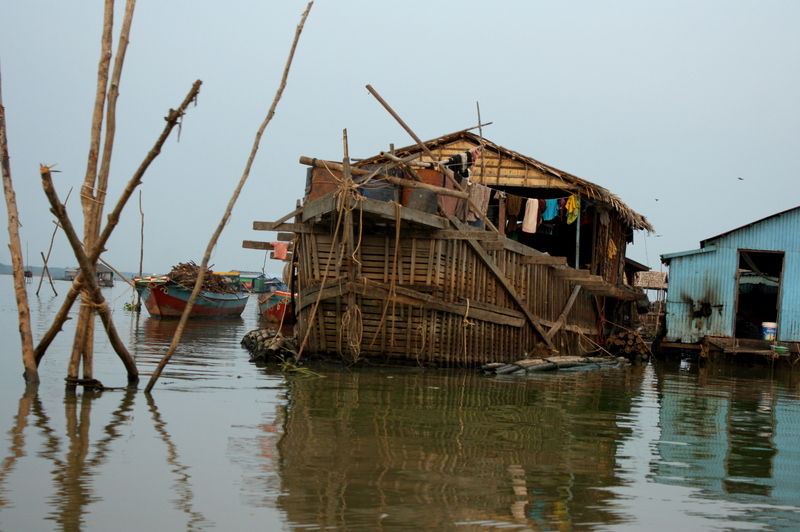 In Bangladesh, there are lots of huts that is built on water; just like the first photo of this post. I wonder how do they sleep inside those houses forgetting the fear of falling down into the water. I have a blog dealing with houseboats and minimalist living lifestyles. I enjoyed this post very much and would like to have your permission to post a couple of the pictures on my blog and link the story as well. All with attribution, of course. Absolutely, although I don’t think these houses are like anything you’d ever construct! Very simple and minimalistic! But I guess they work just fine for the Cambodians! Sounds like an amazing experience to visit this region! 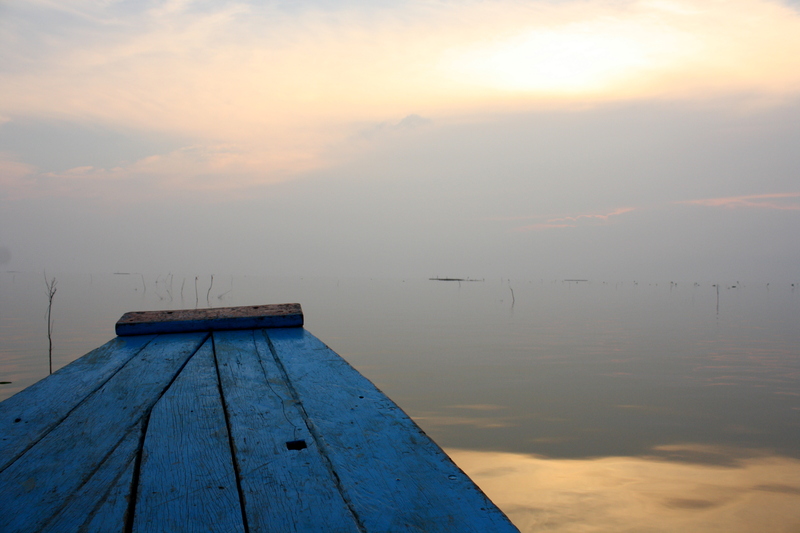 wow sounds so peaceful… great post, I nearly felt like I was there, until the phone rang! fantastic post. Traveling beyond the typical is most certainly the way to go. As is couchsurfing. Wonderful photos. Here’s wishing you many more interesting and inspiring travels. Nice images and writing. We were in Siam Reap about 10 years ago…the temples were spectacular, and the tourist trade was just starting to build. We did not get out into the local scene too much beyond the house where we were staying (bed/breakfast sort of place with 3 rooms). There was a funeral next door with someone beating very slowly a drum most of a day, and mourners crying…loud pained crying. It was very moving. An astounding way of life. Thank you for sharing your travels, and beautiful photographs! Thanks for an interesting blog and superb pictures. It brought back memories of similar (but not quite so exciting!) experiences in Thailand. 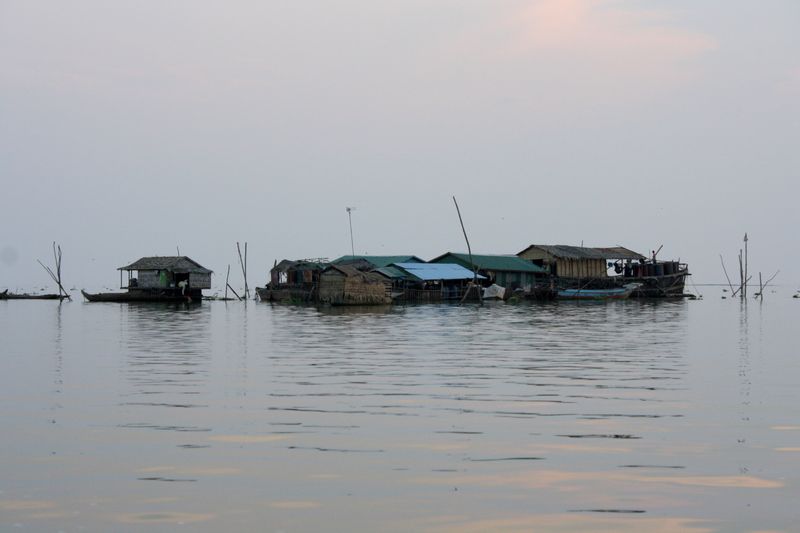 Quite amazing these houses on stilts and as you say, nowhere to go except by boat! 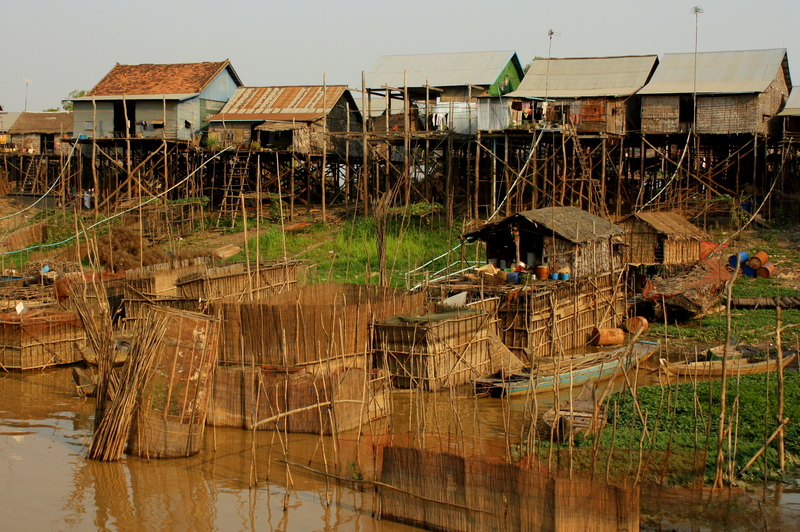 the floating village is really amazing in photos. i wish i’ll have time to visit the place soon. i know this city has proably sufferd from a lot but the pictures you guys show people it lookes like your fine but it looks like this city dose not get taken care of so they should get money for their city because it looks like they half to get money. I love the photo of the boy on the boat. You’ve also got a great header image. These are some amazing pics- this is a really cool concept- the floating city. Neat. Another place name added to our list. Kompong Khleang. Sounds fantastic. Your journey and your site are proving a great source of inspiration. I wanted to know how did you find your driver? Did you organize it at your arrival in Siem Reap in one of those agencies there? At what time did you leave Siem Reap to go to Kompong Khleang? Was it a full day tour or a half day tour?